Once a person leaves the mountain, they never come back, not really. They’re lost forever. Told in the stunning voices of five women whose lives are inextricably bound when a murder takes place in rural Depression-era North Carolina, Ann Hite’s unforgettable debut spans generations and conjures the best of Southern folk-lore—mystery, spirits, hoodoo, and the incomparable beauty of the Appalachian landscape. 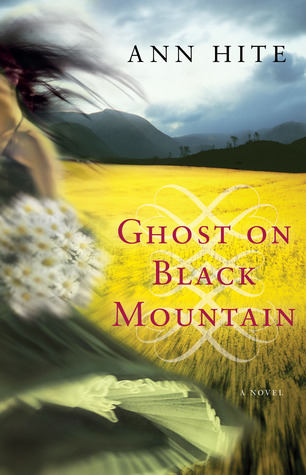 GHOST ON BLACK MOUNTAIN is a spellbinding Southern Gothic about dark secrets, murder, ghosts and revenge. The story is told from the points of view of five women, each one connected in some way to Hobbs Pritchard and Black Mountain, North Carolina. Hobbs was an evil man. A criminal. An abuser. A murderer. 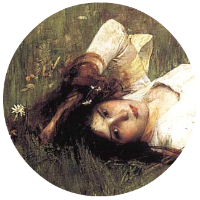 But he was also deceptively charming and handsome, and easily won young Nellie’s heart. It was during the Great Depression that he married Nellie and brought her to live on the mountain. It only takes a short time for her to see the real Hobbs and to realize her life is in danger, and there’s only one way for her to get off that mountain. Unfortunately for Nellie, her secrets won’t stay buried forever. This was an amazing book, one that I will think about long after finishing. I love how the book was constructed with each narrators’ point of view in a separate section, and each part added more depth to the story as a whole. All five of these women were strong yet flawed, and I connected to each one. Even the ghosts and the mountain itself were compelling characters in this eerie tale. GHOST ON BLACK MOUNTAIN had me captivated from the first page. The tone of the story was dark and unnerving, and there were many surprising twists and chilling moments throughout the story. This was more than a ghost story. It was also a testament to the powerful bond between a mother and child that nothing, not even death, can break. GHOST ON BLACK MOUNTAIN has a place on my keeper shelf. This entry was posted in Historical Fiction, Paranormal Fiction, Reviews, Women's Fiction and tagged 5 Stars, Ann Hite, Ghosts. Bookmark the permalink.